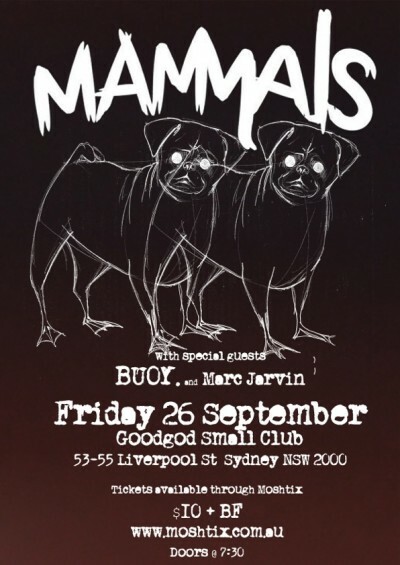 With a brand new video released for ‘Circles’ and an EP following, Mammals are taking their dreamy sounds to Goodgod to for a big Friday night launch show! The “seemingly effortless and whimsical” track that is Circles (Adam Not Eve), is the first single from the forthcoming five-track EP release. Laden with a fluid, lush and running sound, it marks the ethereal tone of the entire EP. A unified cascade of sweet vocals tied to an undercurrent of thick, heavy bass and soothing melody, ‘Animalia’ promises to become a soundtrack to the blossoming of Spring.